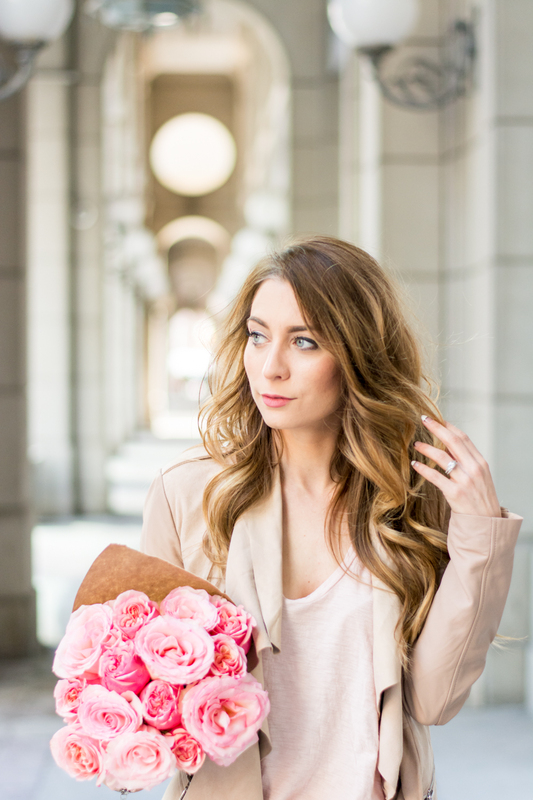 OOTD - Blush Leather Jacket | La Petite Noob | A Toronto-Based Fashion and Lifestyle Blog. Thanks Abbie! 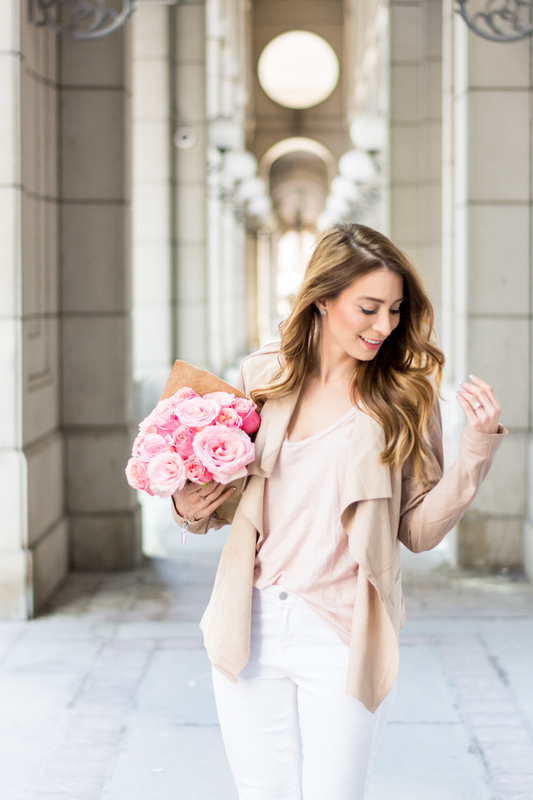 I'm loving blush and white lately too! 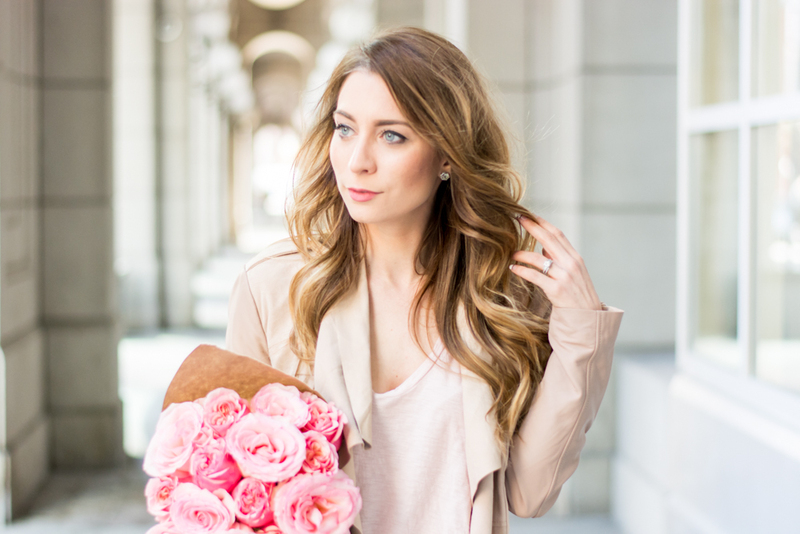 i love the neutral color palette - love the jacket! Thank you Andréa, isn't the jacket awesome! 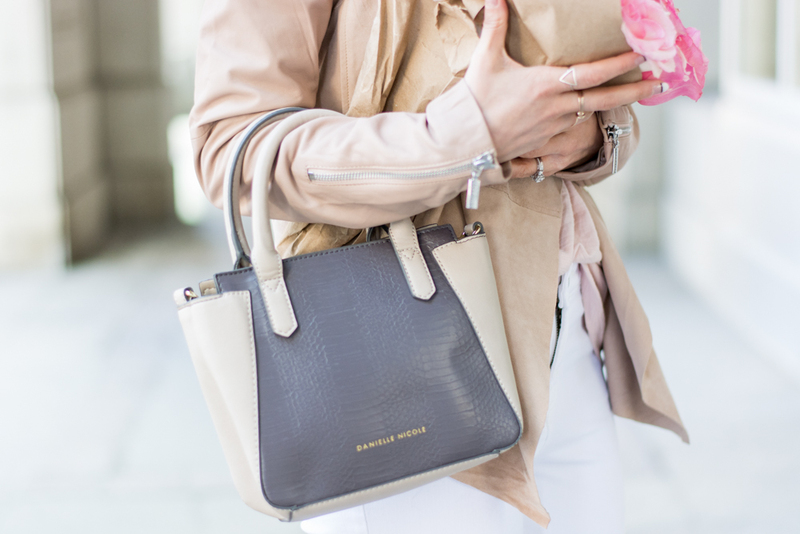 Perfect for keeping a lighter colour palette, even in cooler temperatures. That jacket is absolutely stunning!! 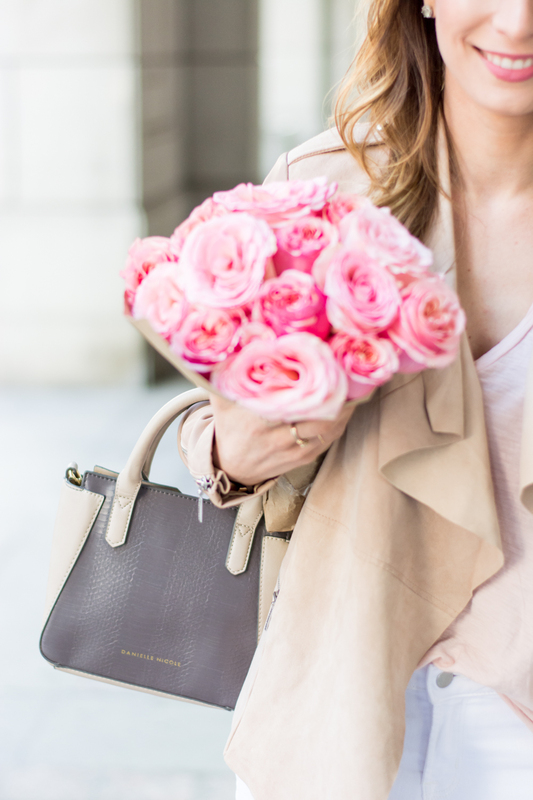 I love the blush pink colour and have been on the hunt for something similar to add to my spring wardrobe. This whole outfit is just perfect! So glad that you like it Jackie! I was so happy to get it, such a welcome change from my usual black leather jacket! Damn this leather jackets are amazing and I want to appreciate you for sharing. I am looking for something different like buying Celebrity Leather Jackets to gift my wife on her upcoming birthday, can you please suggest me any store from where I can buy them ?